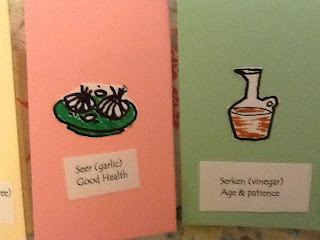 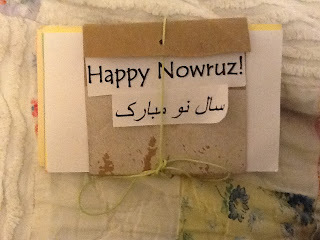 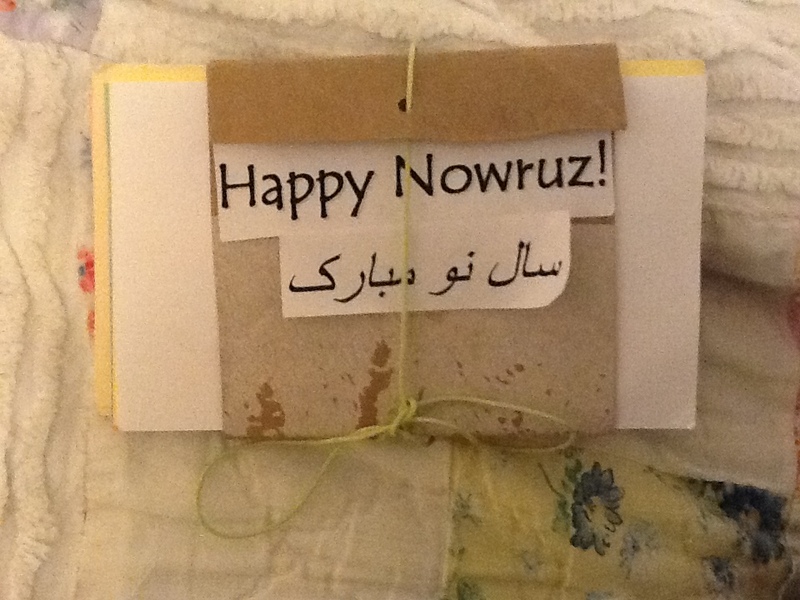 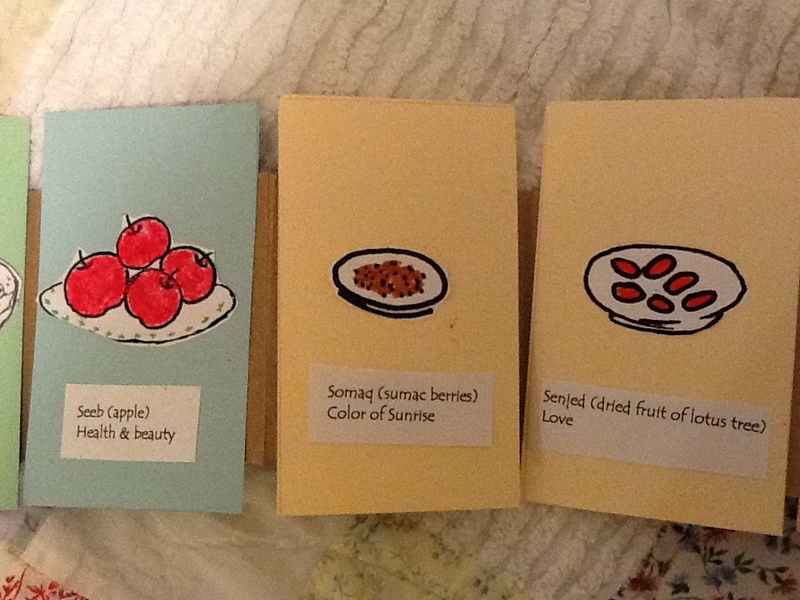 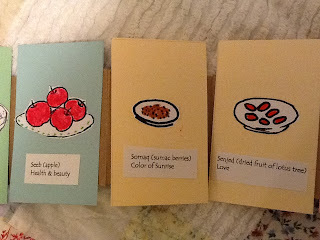 Here's wonderful library project for the Persian New Year. 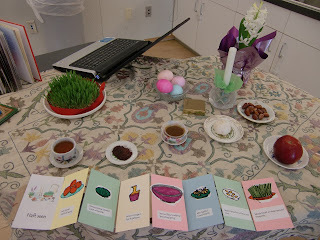 I got an email from Cathy who was looking for a book project for children ages 6 to 11 to share the haft seen (7 elements) of the Norooz table setting. 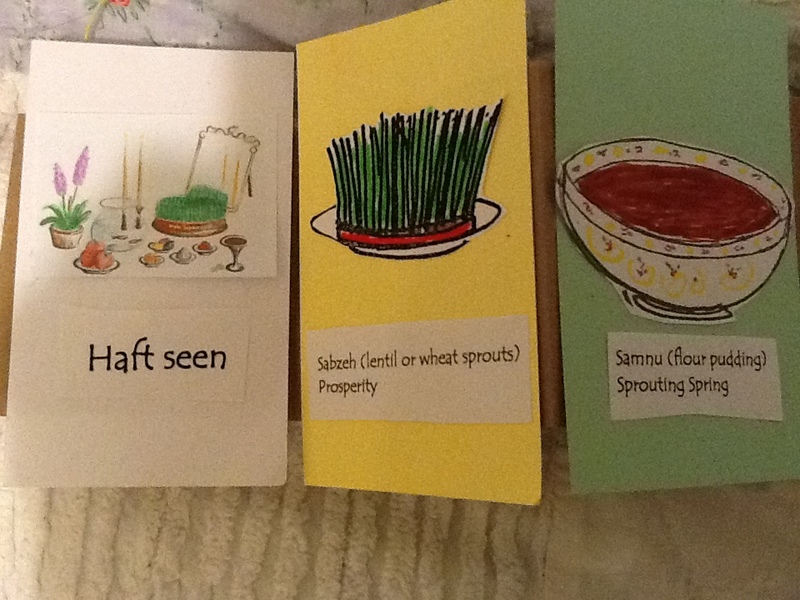 I suggested an Index Card Accordion with one page for a title and seven for the elements. 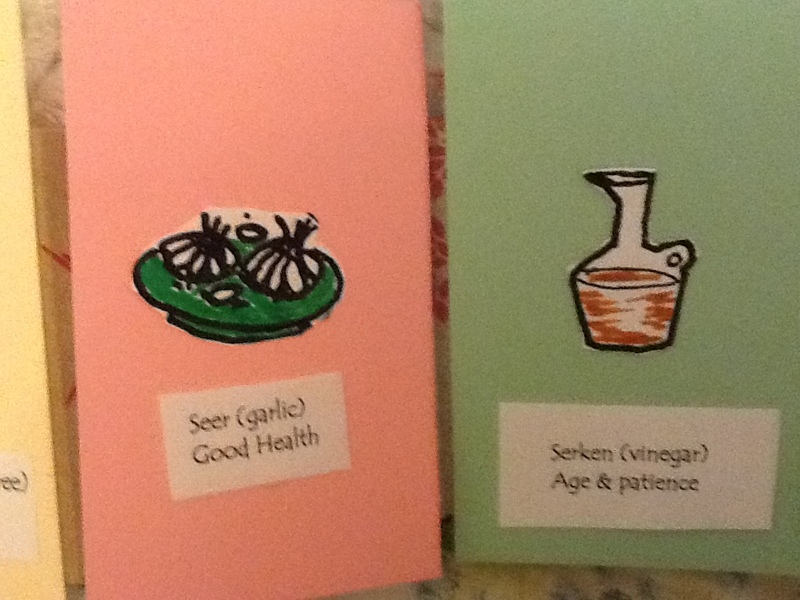 Cathy kindly sent me pictures of the books and these comments.